Our differentiators define those aspects of our business that make us stand out from our competitors. We have spent more than three decades constructing impressive buildings across the United States. Buildings of every shape, size and purpose, from retail to office, medical to education, athletic facilities to places of worship, mixed-use to warehouse. Drawing on millions of square-feet of experience, we’ve developed a highly efficient approach to construction – a powerful combination of people, process, and technology. 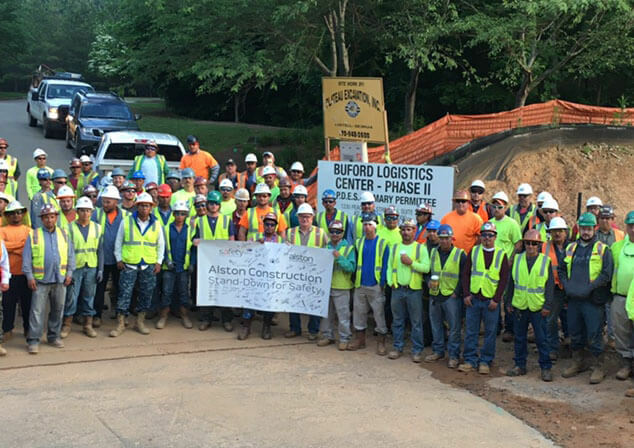 The people come first, literally: Alston Construction recruits nationally, and we’re proud to say we retain our employees significantly longer than the industry average. One reason they stay is our process, which provides variety and rewards initiative. At Alston, we’re deliberately uncompartmentalized: project managers handle estimating, procurement, operations and client relations. For you, as an owner, this means flexibility, consistency across multiple projects – and a single point of contact who’s empowered to do whatever is needed to ensure you’re satisfied. Supporting it all is state-of-the-art project management technology that ensures efficient, cost-effective construction and better communication – both within the team, and with you. Because we believe the foundation of every building is the relationship.